Seeing what other educators are doing with their students. What new strategies can I take back to help my students? How can I change my pedagogy? Networking and making contacts that will last a lifetime. It goes without saying that I believe in professional development in all its forms, whether it be in-school by your colleagues, at division meetings, attending conferences or using Twitter to connect with other teachers and leaders. Although I have embraced and work fluently in the digital world, I still enjoy sitting and hearing what others have to say, the face to face interaction and the invaluable networking that takes place. I hope educators continue to take advantage of all the professional development opportunities that are available to them and actively seek to learn and grow. Recently I facilitated a conversation with a third of the staff about what it is they need from school based administration and district level administration to help with the implementation of the Inspiring Education initiative. As we worked through the questions I was reluctant to add my voice as I really wanted to hear what the staff had to say without being influenced by what I said. I am well into my second year as an assistant principal and thought I was doing a good job helping the staff move forward with technology integration and introducing them to new tools that they could hopefully use in the classroom. I just returned from Google Apps for Education Summit which I have attended that last two years along with various other technology conferences. I thought that if I presented to the staff upon my return and showed them everything I had learned, they would be excited and go try them. However, I realized quickly during my conversation with staff about what they needed that what I was doing is adding additional stress onto some very good educators. They were feeling overwhelmed and anxious because felt they were not doing a good enough job integrating technology into their lessons. All my presentations and talks were just piling more and more things onto their plate that they thought they had to master. I left with an understanding that while they wanted to be introduced to new ideas and technology what they really needed was time to work and collaborate with each other about how to use and integrate it into their individual classrooms. Rather than show them many tools, what they wanted was for me to present a concept or idea and help find a tool/tools that could help them. The idea of collaborative time kept coming up time and time again, rather than schedule all of our professional development day give us time to work together and we will produce great things. Teachers want ideas and are open to finding new and exciting ways to engage their students but they need quality time to plan and prepare with other educators. Professional development days are precious valuable hours and I think sometimes we try to pack to much information into them, rather than relying on the teachers to use the time to better themselves. This is not a new topic and I have read many blog posts about teachers that removed their teacher’s desk from their classroom and they have all been positive. So why not do the same? I rarely sat my desk, it got cluttered with papers and I felt it created a barrier between me and the students. The classroom should be a learning space designed with the student’s interests in mind and having a large portion of the class cut off because my desk was there wasn’t working for me anymore. I didn’t need it for my computer, I have a wireless mouse and keyboard at the front of my class and just about everything I do on my SMARTBoard can be projected and controlled using my phone or tablet. So I recruited the help of a couple students and out it went. The results have been amazing. My room instantly appeared larger and it created more space for students to work and move around. Even though I rarely sat at my desk before I feel I spend more time interacting with the students. When I go into other classes they feel small and cramped at times and it is tough to move around, the additional space created by removing my teacher’s desk is reason enough why I will never have a teacher’s desk again. The student response has been great; they have mentioned that they feel the classroom is theirs as there is no area forbidden for them to work. They also like the additional space and ability to easily move around and collaborate with others. Teachers that come in have the same response and love the ability to move around and interact with students. I encourage you to try it if you haven’t already. Earlier this week a teacher approached me towards the end of the day as I was on my way to my office. She wanted to explain what she was doing with a student in her class and how she was differentiating for him. I listened but not the way I should of and when she was done I left and went to my office to finish whatever it was I thought at the time was more important than finding time to engage with her. Later that night I realized while I appeared to be listening to her I had really been focused elsewhere and did not take the opportunity to talk with her about what she was doing in her class and showed no real interest in what she was saying. It goes without saying it was the worst sleep I have experienced in years. The next day I apologized and explained my frustration in myself and promised it would not happen again. While the teacher thought nothing of it, it still bothers me and I will try to make time to always listen attentively when a teacher comes to me and wants to share with me what they are doing in their class. I have since met with her a couple times about the student and the amazing things she is doing in her classroom to accommodate for him. About a year and a half ago a friend of mine talked to me about Twitter and how he was using it as a learning tool and all the educators he has been able to connect with. I originally blew it off as I thought of Twitter as nothing more than a place for celebrities to post about their life. It wasn’t until last summer that I actually decided to learn how to effectively use Twitter for myself and I started connecting with other educators and school administrators. What a difference a year has made. The connections I have made and what I have learnt has been astounding. I really have changed more in the last year than in the previous five. I read now more than ever before and am able to voice my opinions about what I read and what I think about various trends in education. The next step it seems would be to start to blog about my own experiences and thoughts surrounding education and educational leadership. I originally started this blog as an online portfolio when I applied for my current job and had no intentions of turning it into an actual blog. As I said earlier what a difference a year has made. 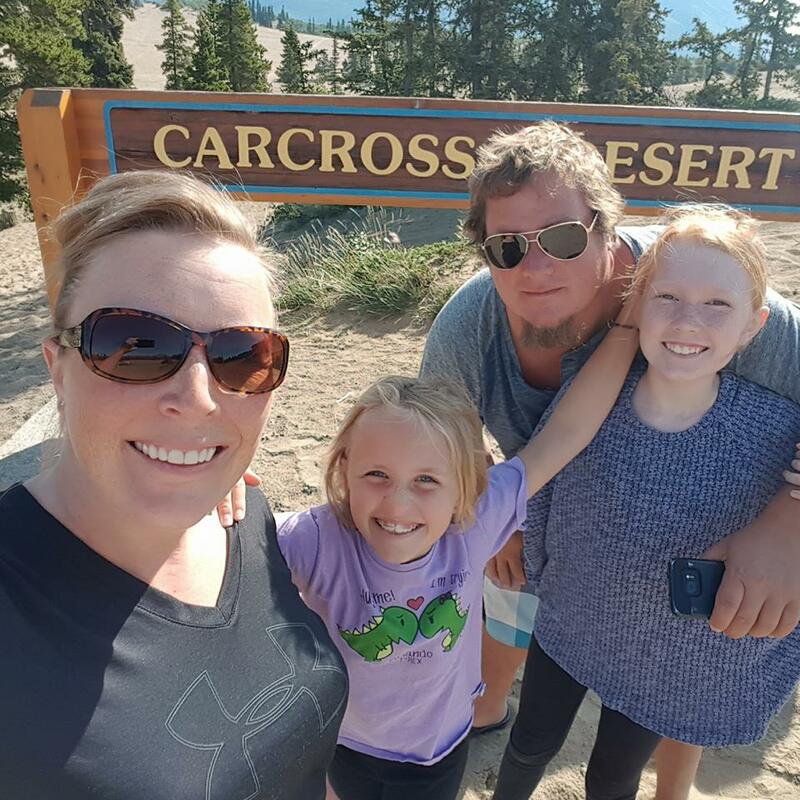 Thanks to all the educators that I have connected with over the last year and all the amazing blogs I have read, because of you I have decided it is time to start and look forward to sharing my experiences with you and hearing what you have to say. Nothing like learning about history where it happened. 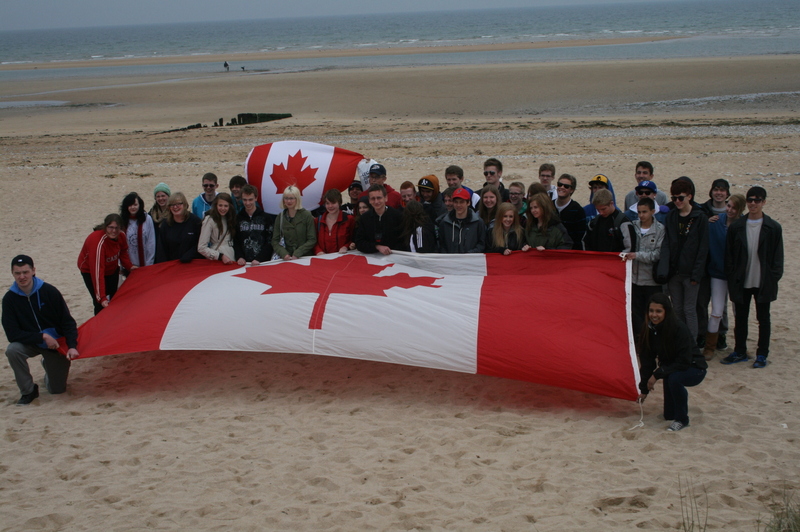 The students show their Canadian pride at Juno Beach.